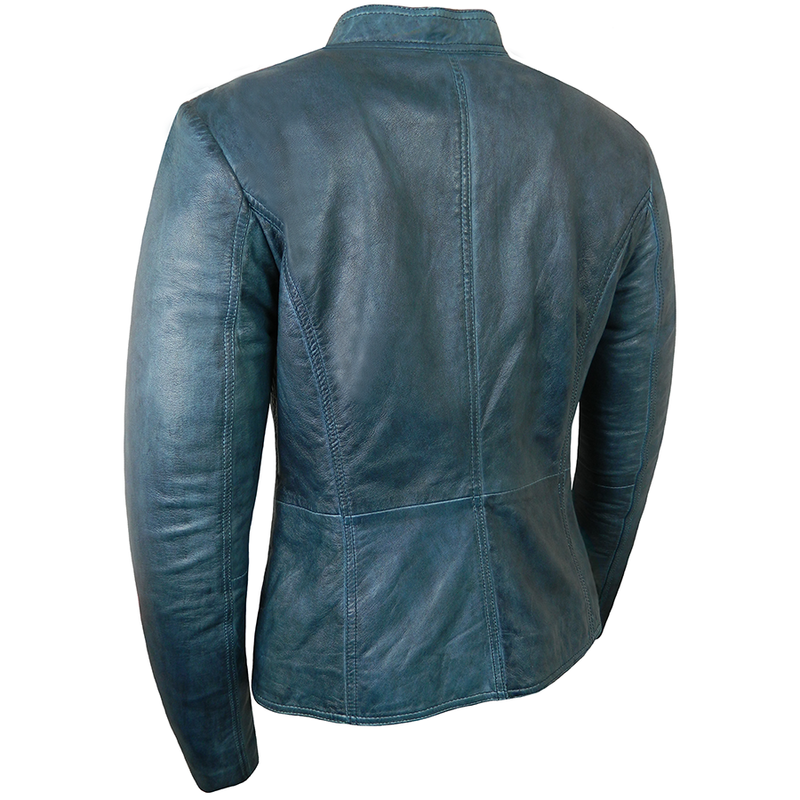 The latest look, this cool leather jacket is made in soft blue leather - so stylish! Pretty statement lining and zipped pockets. 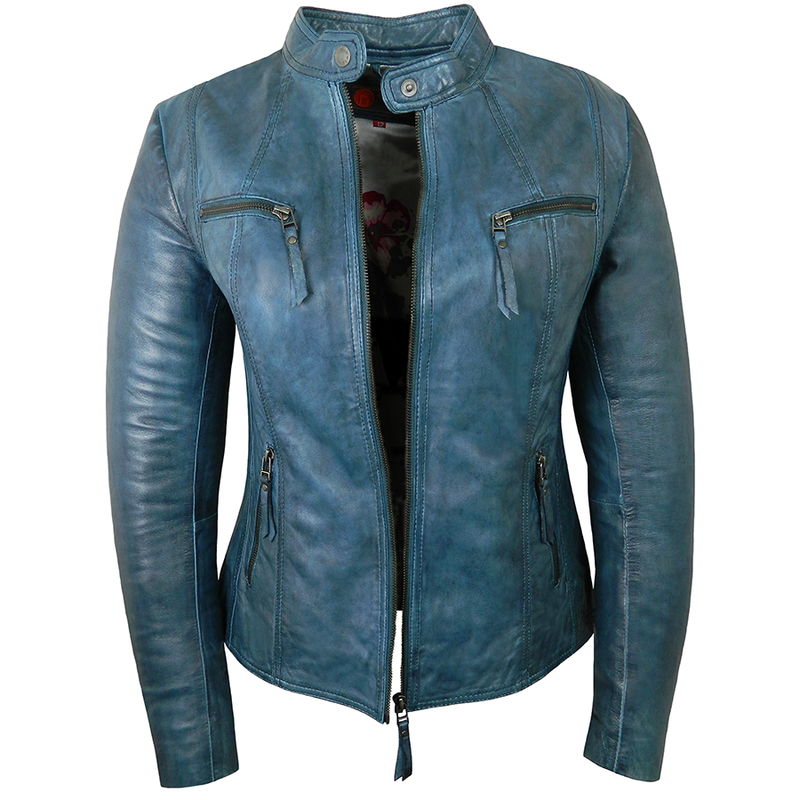 The tailoring of this gorgeous leather jacket can't help but flatter.